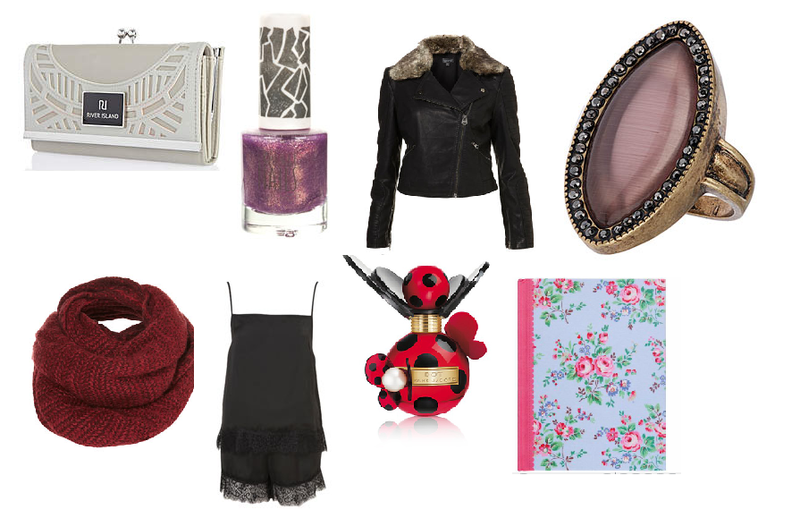 Here are a few bits and bobs I'd love to wake up to on chrismas morning! I didn't really ask for anything that specific this year because my mum knows my taste so well, I trust her to pick out nice things for me! 1. Purse - RIVER ISLAND: I always ask for a new purse every year, just because mine always get tattered or end up having holes in! I think this is a nice choice as it has plenty of sections and I love the colour! 2. Nail Varnish - TOPSHOP: Not something I've specifically asked for really, I just love the colour for winter! It's also on trend because it's metallic which I really like on nails. 3. Leather Jacket - TOPSHOP: I've had the same studded Topshop leather jacket now for about 3 years and I'd love an update! For some reason I really want one with a fur collar, they look so snug and warm and I also think the fur makes it look slightly more sophisticated and feminine - which is my style! 4. Ring - TOPSHOP: I've just asked for a generally big ring because I think they go with anything, they're also great for day and night which is perfect for me! I really like this one in particular because of the colour and detail. 5. 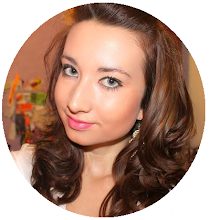 Snood - TOPSHOP: I've had the same snood for about 2 years now and it's cream, I love them because they're so warm and they also look trendy and never go out of style! 6. Pyjames - TOPSHOP: I really want some pretty lace pyjames, especially these from Topshop as they're really cute (not very warm though) but that doesn't bother me! 7. Perfume - JOHN LEWIS: I'm a huge fan of Marc Jacobs perfume, I've had Daisy for the past 2 years now and I adore it. I fancy a change though so I'd like Dot. I haven't actually smelt it yet haha oopsy, (I'm sure it'll smell nice though because it's Marc Jacobs) I just love the style of the bottle! 8. Diary - CATH KIDSTON: I got a diary last year and I forgot to write in it during summer! Instead, I'd like just a journal so I can write notes, and important things and anything I like instead of having to write in it every night. This one in particular because I love the floral pattern. lucky you, that your mum knows your taste!